Is your smile looking a little discoloured or dull? 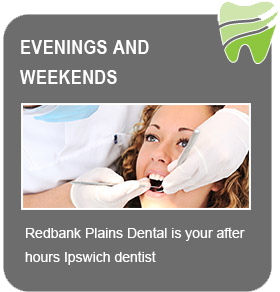 Redbank Plains Dental offers veneers, composite bonding and teeth whitening cosmetic dentistry treatments to revamp your pearly whites. As one of the most popular cosmetic treatments available, teeth whitening treatment offers an alternative to costly cosmetic surgery and provides long lasting results. Universally valued by both men and women, teeth whitening treatments are proven to achieve results. 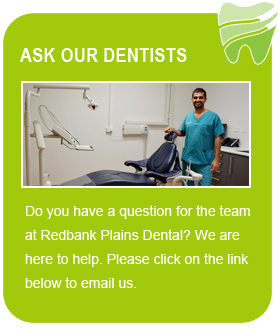 Here at Redbank Plains Dental we service patients from Redbank, Springfield, Springfield Lakes, Redbank Plains, Camira and Goodna along with any other suburbs around and in-between. The Pola in-office treatment is applied in the dental office. Using a gel like active solution, our dental practitioner will gently apply the product to your teeth ensuring your gums and other oral tissues are protected. With a light activator, the treatment is fast, efficient and concentrated. Significant colour change in a short period of time is the major benefit of in-office whitening. After your treatment is complete, we will offer you a take home kit to continue your whitening from home. Take-home kits use a simple design and involve a lower-concentration peroxide gel compared to treatments practiced in-office. Arguably, take home kits can provide longer lasting results but the treatment takes longer to whiten the teeth. At-home treatments remain on the teeth for an hour or longer (sometimes overnight). The gel is applied to the teeth using custom designed bleaching trays that resemble mouth guards. 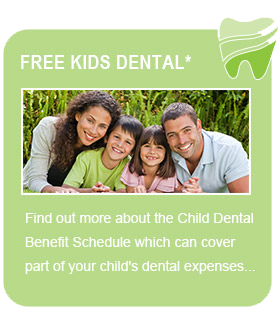 Our dental professionals will explain the process in full during your appointment. The active ingredient will infiltrate the tooth’s surface and will in-turn lighten the colour of your teeth by up to 8 shades. To find out more about how we can help you resolve your cosmetic problems with whitening treatments, composite bonding or porcelain veneers, book a consultation with us today.